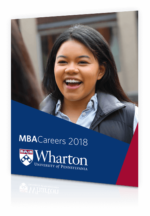 The Wharton School recognizes the following companies and organizations that made offers for full-time or internships to at least one Wharton MBA student during the 2017-2018 academic year. Note: Companies that hired 3 or more graduates and/or interns are listed in bold. China Fortune Land Development Co.
PIMCO Piper Jaffray & Co.
Vestar Capital Partners Viacom, Inc.